Welcome » 66-77 Bronco » Accessories & Apparel » Used OEM Wheel/Rim, 15x5.5"
Used original wheel. 15" diameter, 5.5" wide. This width was typically on 66-73 models (from what we understand). 5 on 5.5 lug pattern. 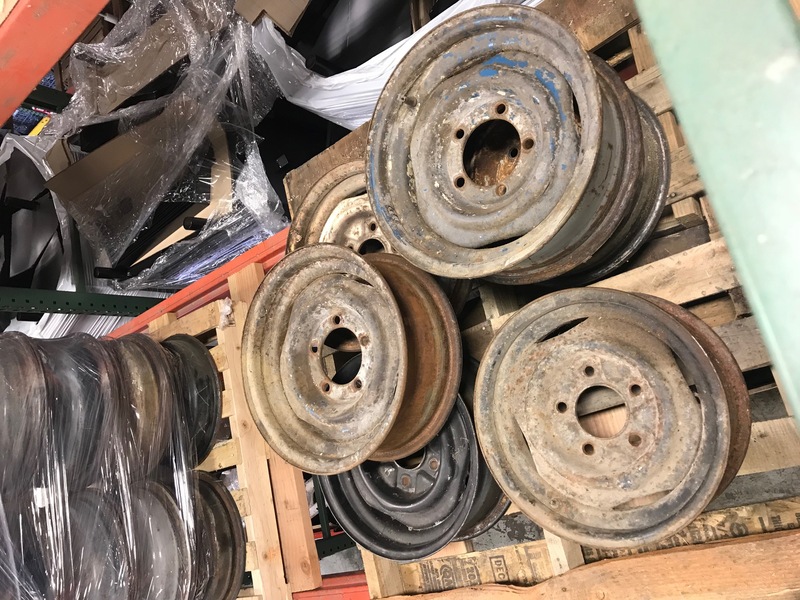 These are factory original wheels, and have NOT been refurbished. May have some rust pitting, ugly paint, etc. These are sold as-is. Picture is for illustration only!